Art Deco was responsible for the transition of Buenos Aires from capital city to metropolis. The interwar period saw a modernization of the city that provided not only new architecture but also a new way of life where literature, arts and music (tango of course) flourished incredibly. 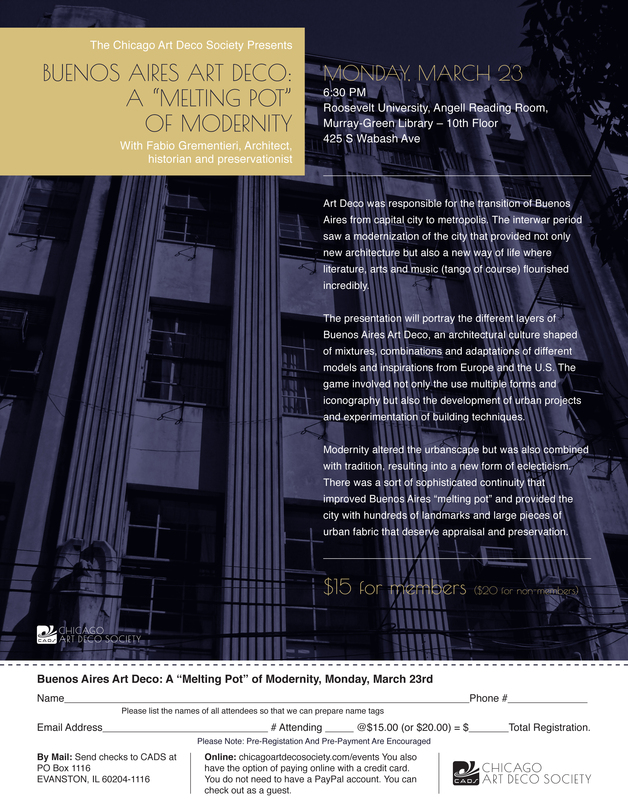 The presentation will portray the different layers of Buenos Aires Art Deco, an architectural culture shaped of mixtures, combinations and adaptations of different models and inspirations from Europe and the U.S. The game involved not only the use multiple forms and iconography but also the development of urban projects and experimentation of building techniques. Modernity altered the urbanscape but was also combined with tradition, resulting into a new form of eclecticism. There was a sort of sophisticated continuity that improved Buenos Aires “melting pot” and provided the city with hundreds of landmarks and large pieces of urban fabric that deserve appraisal and preservation.